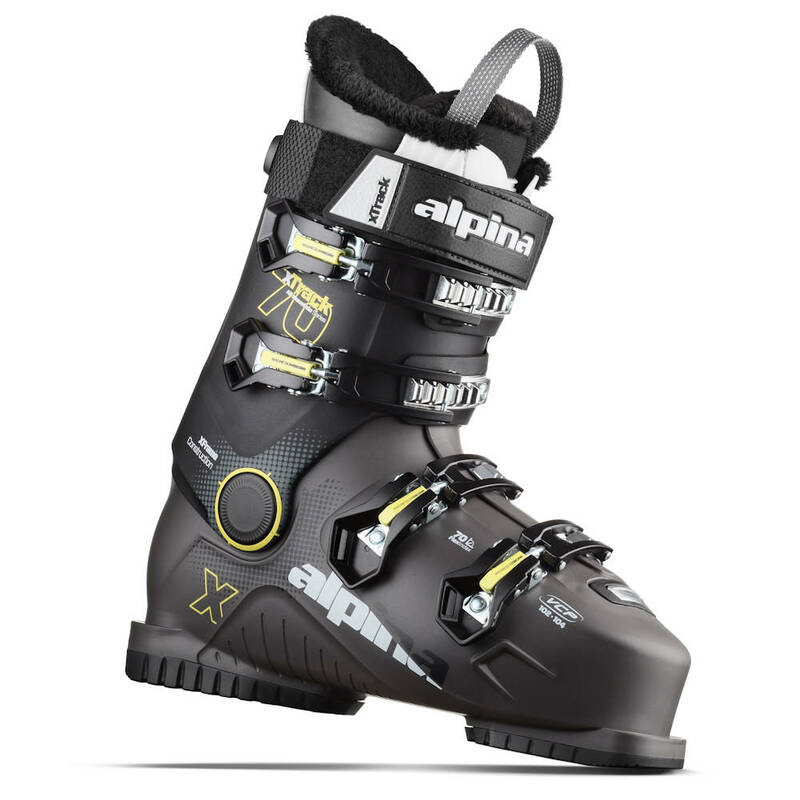 Introducing the all new Alpina XTrack 70 Skiboard Boots Anthracite/Black. Like the Alpina X5 skiboard boots we’ve carried for years, these are the ultimate skiboard boots with so many perfect features that work with having a great day on skiboards. 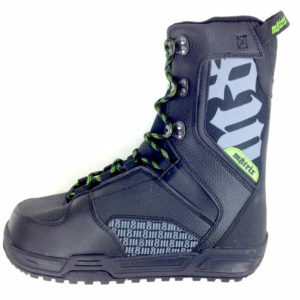 Introducing the all new Alpina XTrack 70 Skiboard Boots Anthracite/Black. Like the Alpina X5 skiboard boots we’ve carried for years, these are the ultimate skiboard boots with so many perfect features that are just perfect for having an awesome day on the slopes. We’ve carried Alpina boots for years and continue to be super happy with their quality and performance. These are beautiful looking skiboard boots (online photo doesn’t do them justice). These new Alpina XTrack 70 Skiboard Boots Anthracite/Black are really comfortable, especially compared to the fit of most alpine ski boots. These feature an anatomical footbed and ergonomic shell with micro-adjustable caches making it easy to get just that perfect fit. Boots can be adjusted to fit almost any calves thanks to an additional feature of movable rachet. With a thermal performance fit liner that conforms to the shape of your feet and an easy entry/exit, these are a delight over traditional alpine ski boots. With room for your toes, your feet can remain warm even on the most bitter cold days. Faux fur liner at the top adds to the super cushion comfort of these great boots. Beside comfort however, these Alpina XTrack 70 Skiboard Boots Anthracite/Black deliver maximum power transfer to your edges for smooth side-to-side carving. With a more natural, upright stance these boots allow the proper centered stance, just right for skiboarding. These also feature a 35mm power strap at the top that allows a further custom fit and adds to maximum performance. Check out our super comfortable socks. Sizing: With skiboard boots, since you stand upright, choosing your regular shoe size or 1/2 size larger to accommodate thicker socks is usually just right. These can be returned and exchanged for another size if needed. For women wanting to purchase these, choose a size lower (Ex. women’s 270 would be men’s 265 or even 260). I purchased a brand new set of ski boards, bindings and these boots. After a phone call to make sure I had the size correct I placed the order. From the first time I wore these boots last season they were comfortable out of the box. Great description of fit and finish. The price can’t be beat. I’m anticipating the 2017-2018 snow season and looking forward to putting these boots on again. Great purchase. I purchased these with the Elan Freeline 125s and they are great together. They are comfortable, warm, and look good. I usually wear about an 8.5-9 (US) shoe, and the 275s fit really well.